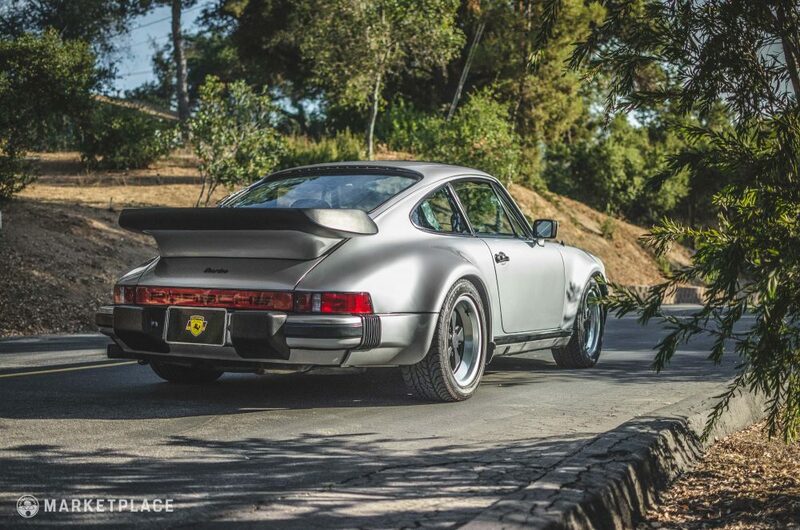 In the late 1960s, Porsche engineers fiddled with turbocharging their flat-six powered fastback rear-engine coupe in racing applications, but the idea for a boosted 911 road-going version didn’t fully take hold until around 1972. 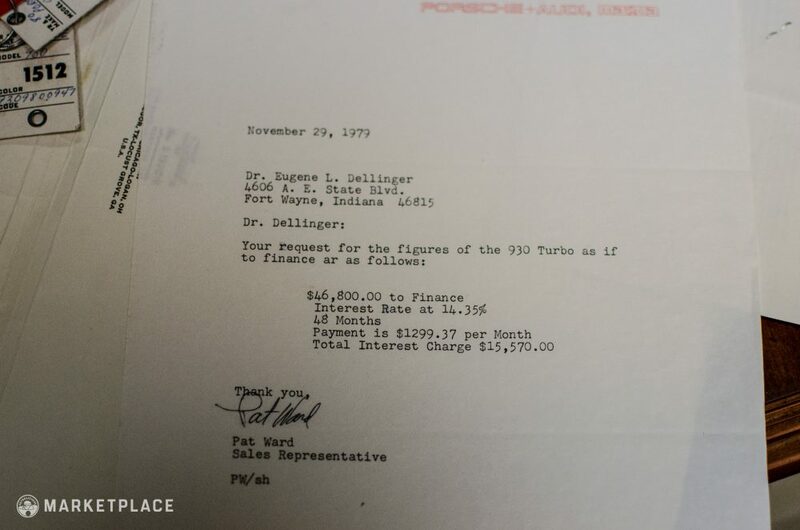 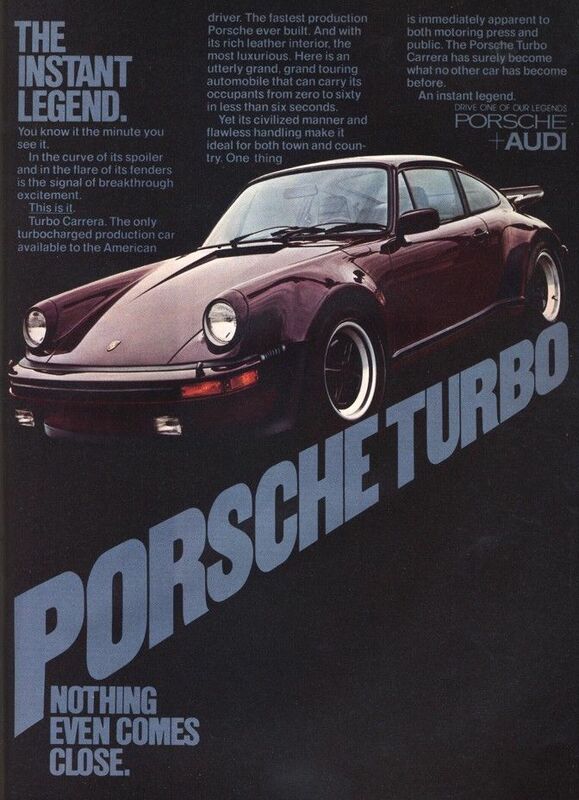 While other manufacturers were busy fumbling with reliably implementing forced induction into production vehicles, the P-car pioneers had their first 911 Turbo ready by 1975. 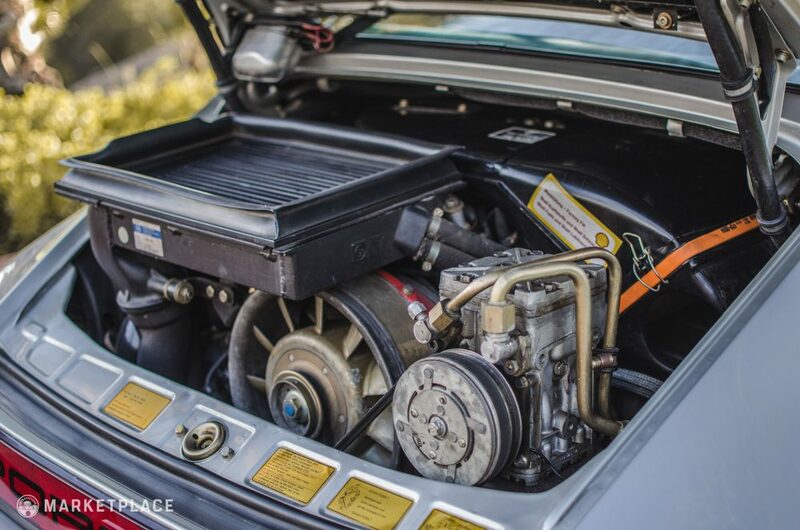 The engine base was their tried-and-trued air-cooled flat-six, which by the mid-1970s made a respectable 210 horsepower in naturally aspirated form. 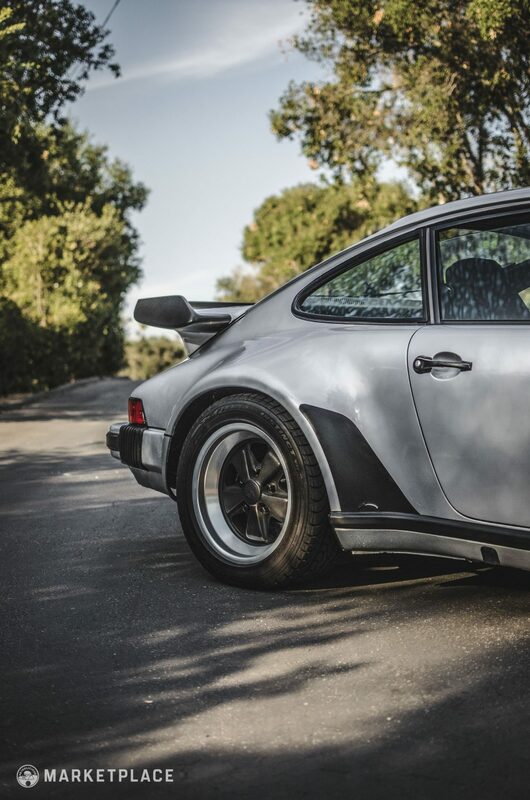 Punched up to 3.0-liters with stronger internals, the 930 Turbo surged out of the gate with 260 horsepower and spooled up to 300 horsepower in 1978 with a .3-liter jump. 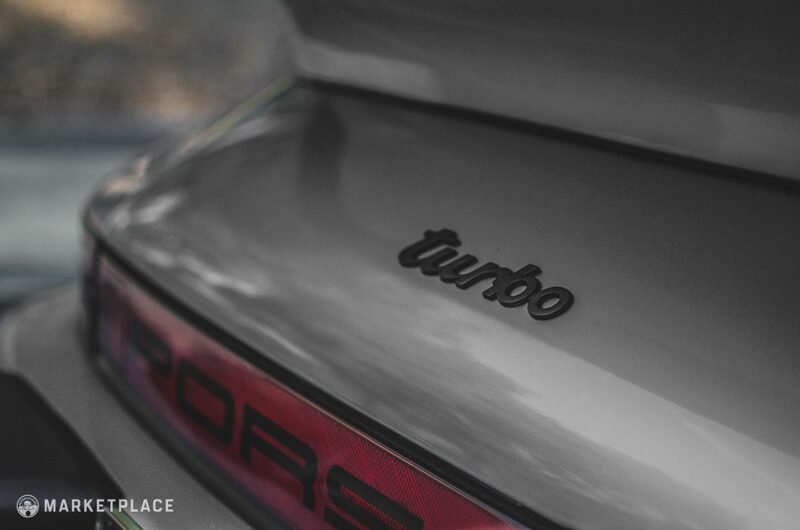 Porsches are known for their balanced drive and the Turbo was treated no different. 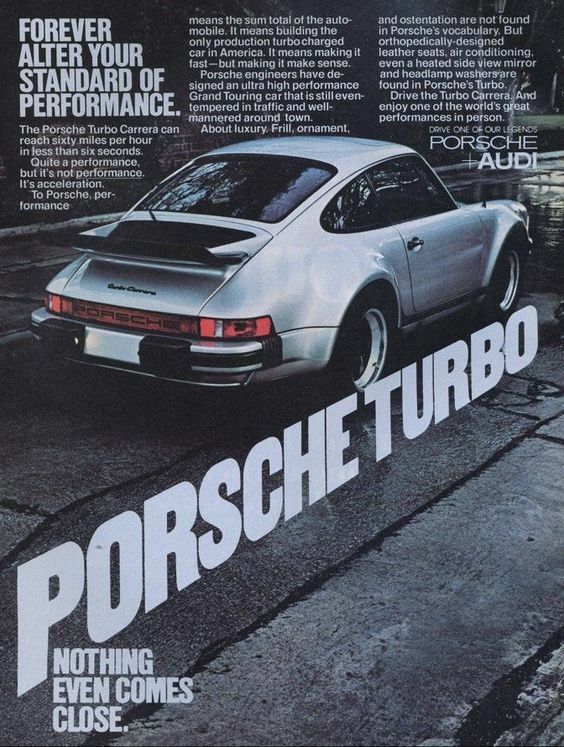 Although these early 930 are known for their acute surge in power thanks to its intrinsically tricky boost lag, the rest of the performance was also cranked up to meet the big power. 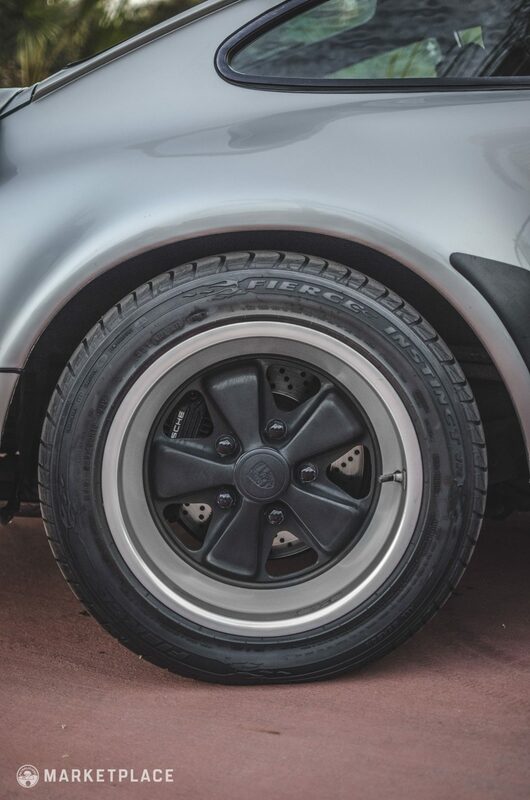 The track was widened, larger brakes were fitted, and the suspension was revised. 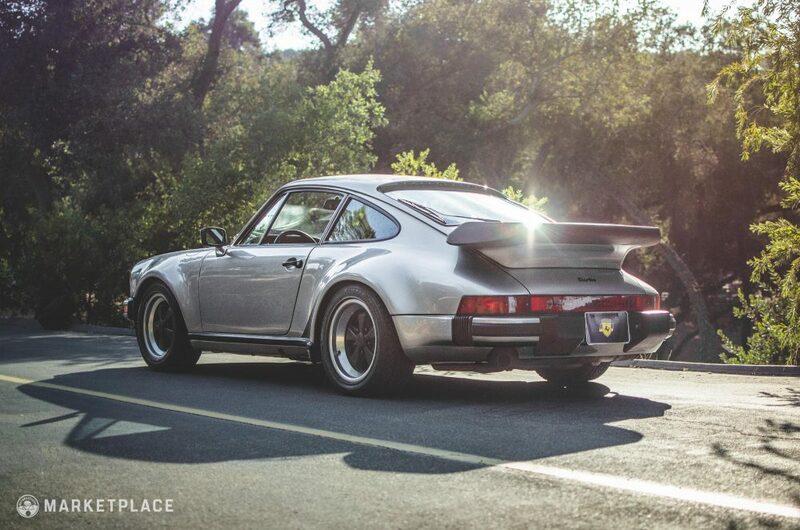 The overall package was a monumental piece of motoring achievement considering the birth of the 930 came at the dawn of the Malaise Era’s maligning emissions regulations. 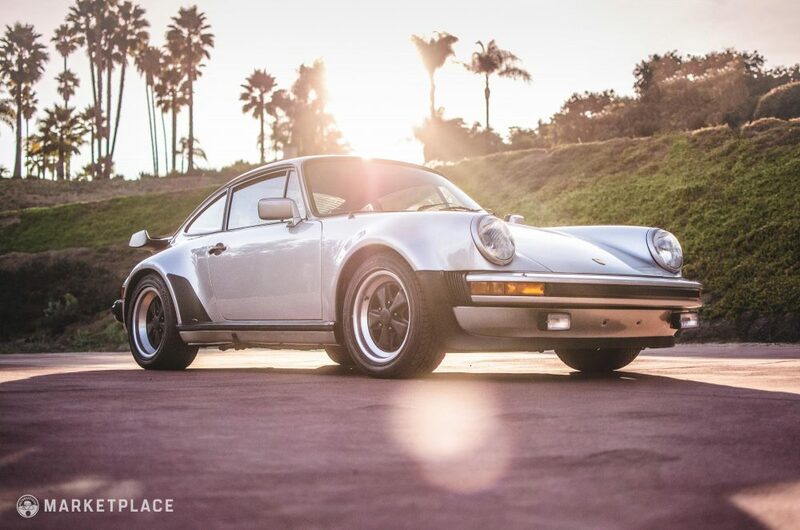 Few competing cars could compare to the 930’s benchmark performance figures. 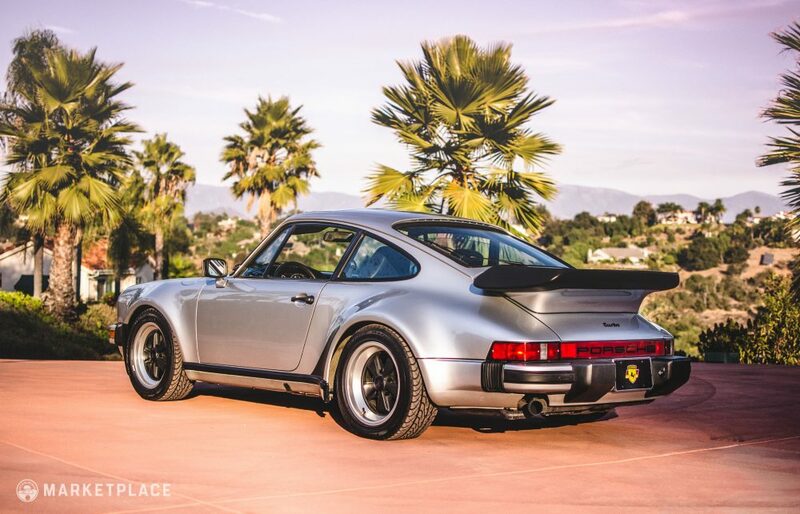 With a sub-5-second 0-60 time and a 13.5 second quarter mile sprint, the 930 was dubbed the “quickest car of the 1970s” by Car and Driver. 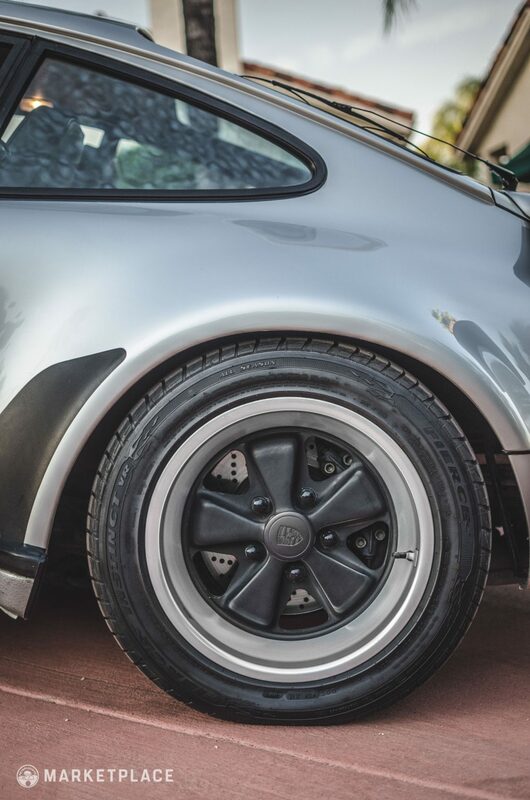 The 930 design is very much a product of function, yet it’s powerful stance and prominent fenders gave it a distinct look within the 911 lineup and made it an instantly recognizable figure on the performance podium. 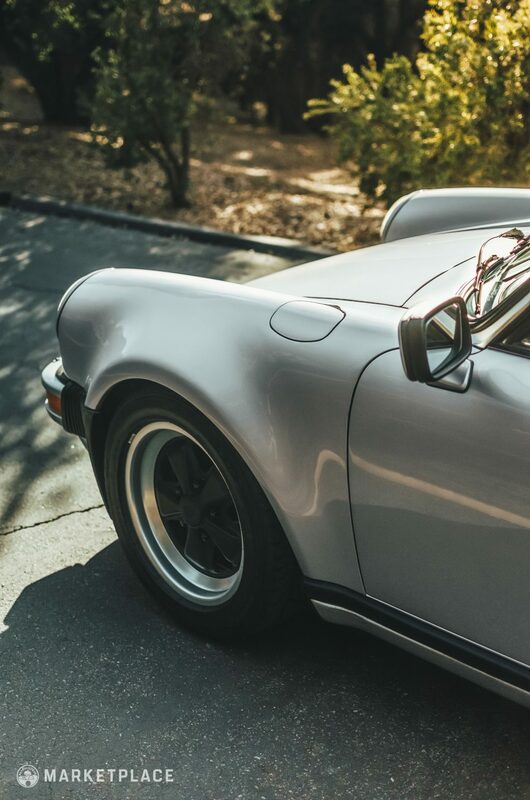 The widened track was required for increased traction, so the fenders were pulled front and rear giving the already sculpted 911 some serious aesthetic strength. 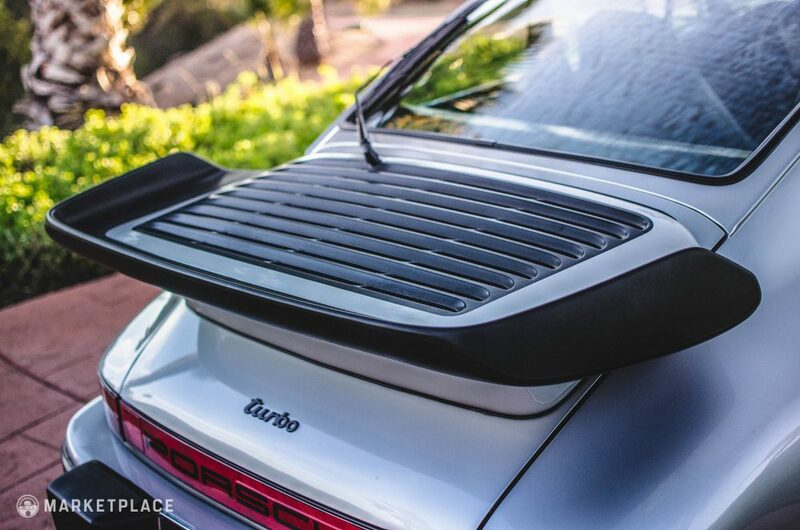 While the massive Whale Tail spoiler was designed for increased air intake to keep the hot-blooded boost cool, it also was a stylish visual addition that matched the swollen fenders nicely. 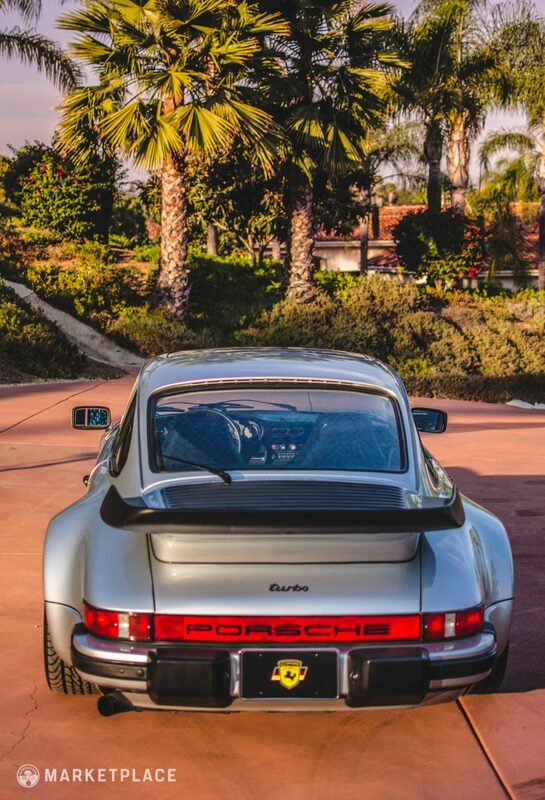 With black accordion impact bumpers, often-matching black Fuchs, black trim, and black rear quarter arch “shark fin” stone guards, the 930 could write the check and cash it. 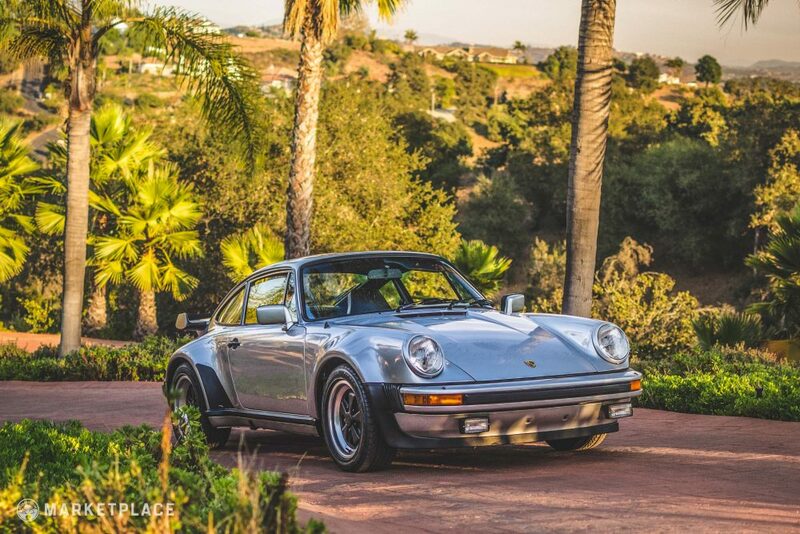 This 1979 Porsche 930 Turbo is offered for sale by CPR Classic located in Fallbrook, California (North San Diego County), and is the most original and documented 930 Turbo the shop has ever come across. 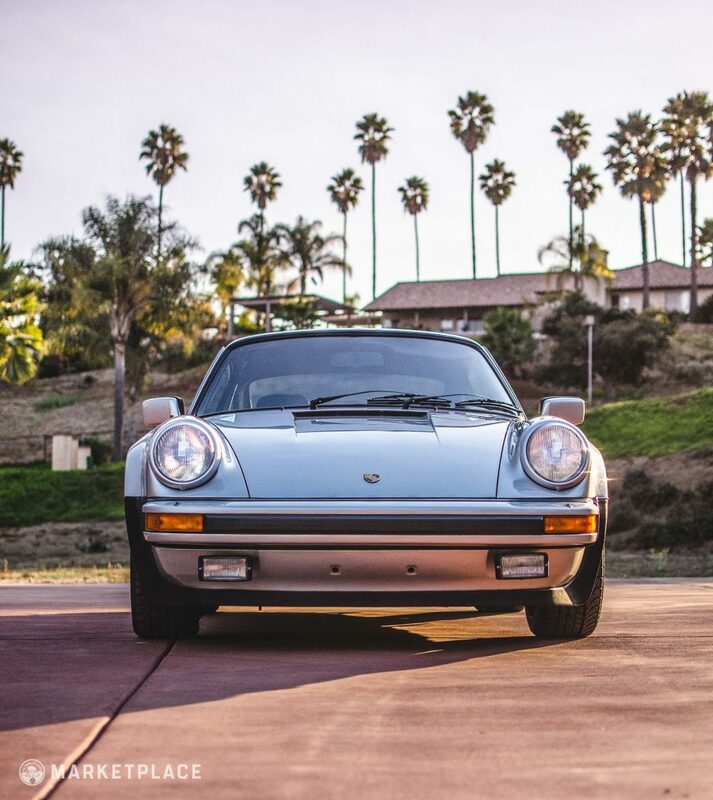 With just 9,800 original miles since new, this stunning silver metallic over black leather 3.3-liter Turbo is a two-owner, accident free, all original example that’s been fully serviced since new and remains in near flawless condition inside and out, both mechanically and aesthetically. 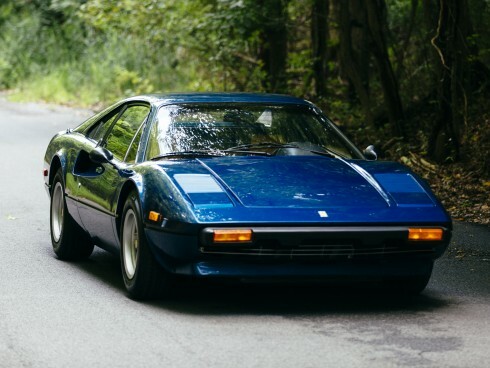 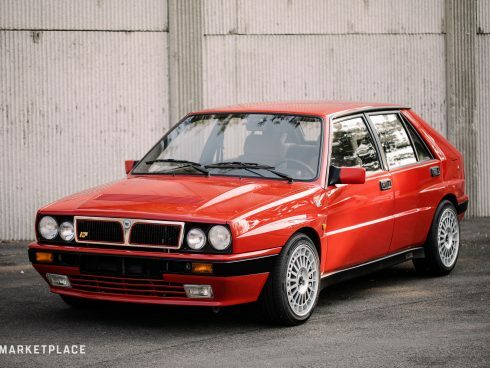 The car was sold new in Colorado where the first owner put on the first 3,000 miles over the first four years before selling it to a long time friend who put a mere 6,000 miles over the next 34 years. 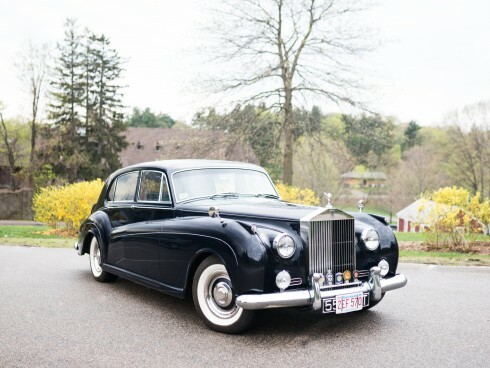 The car remained in Colorado Spring, always garaged during winter months and meticulously maintained. 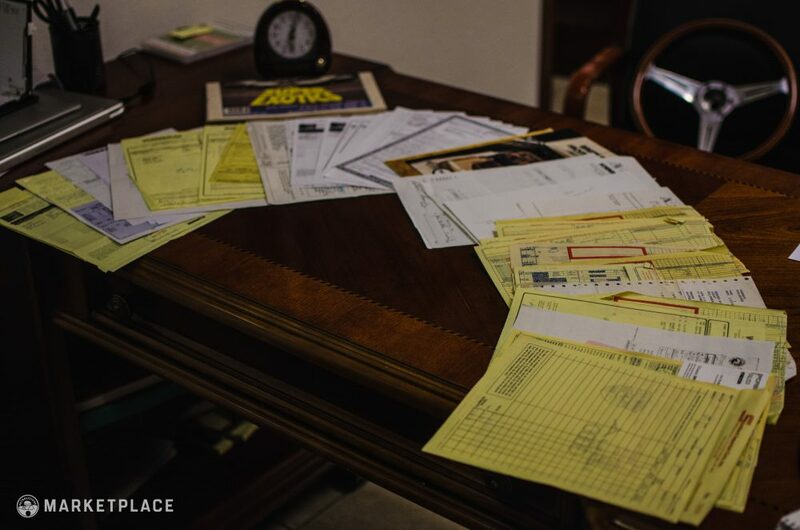 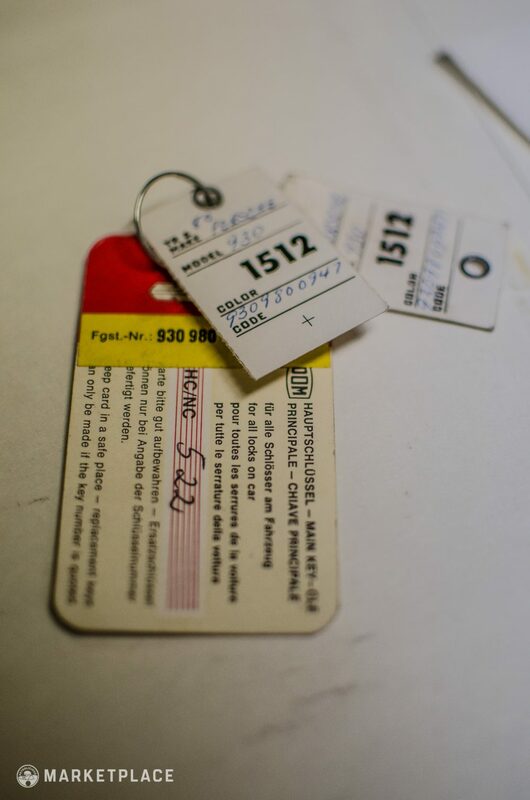 Every receipt, record, and form fully covering the car’s service history since new is documented down to the original dealer key tags. 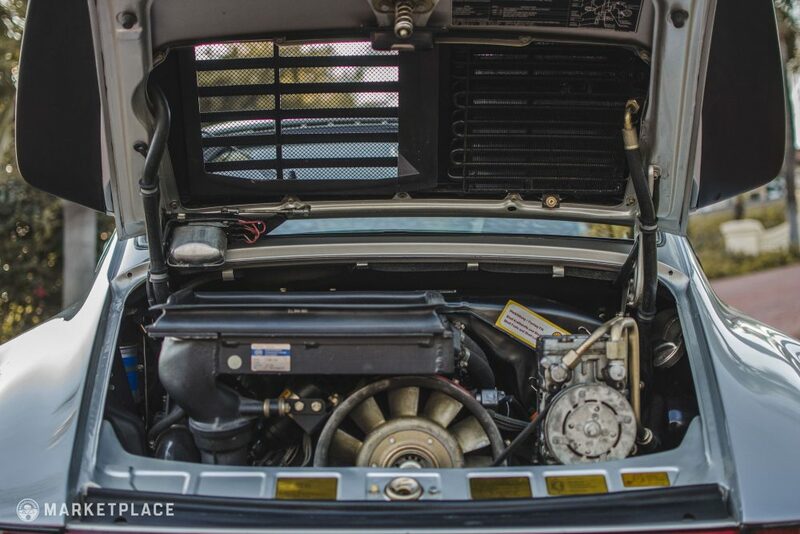 Needless to say, this car is an extremely well cared for 930 that was only driven on special occasion during ideal weather conditions. 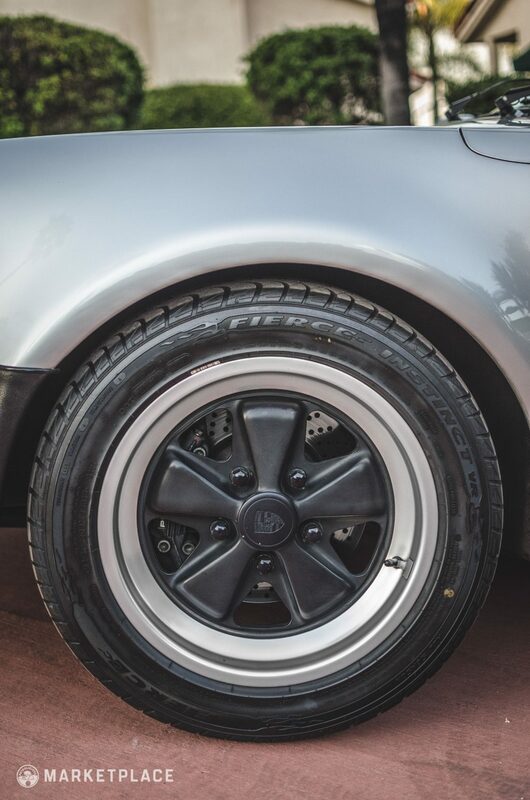 The paint is original and remains in like new condition with excellent shine and paint depth readings ranging from 3.5-6.5 mils. 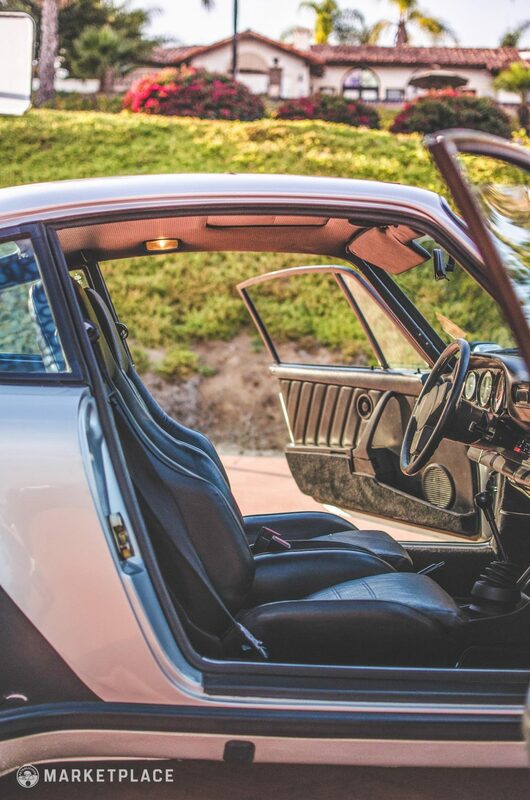 There are no stone chips noted with the only imperfection in the finish being a small scuff on the sunroof. 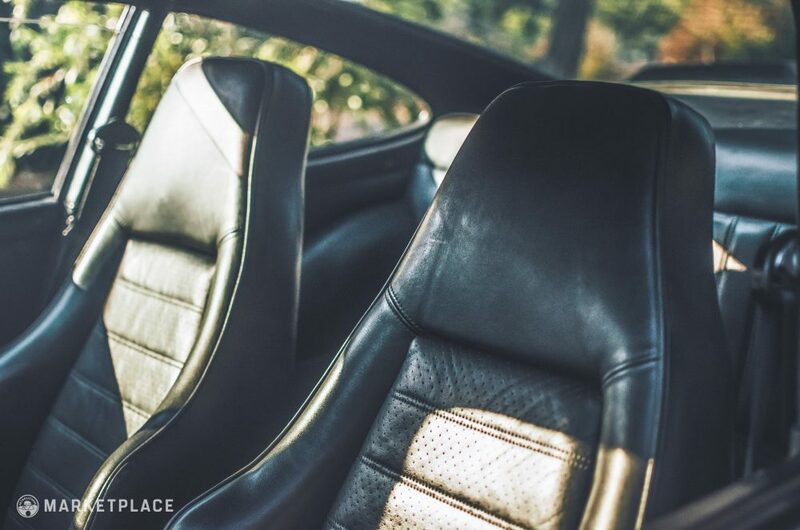 The interior remains equally fresh with excellent bolstering, deep finish in the black carpeting, no cracks on the dash, no tears in the seat covers, a strain free headliner, and perfect door panels. 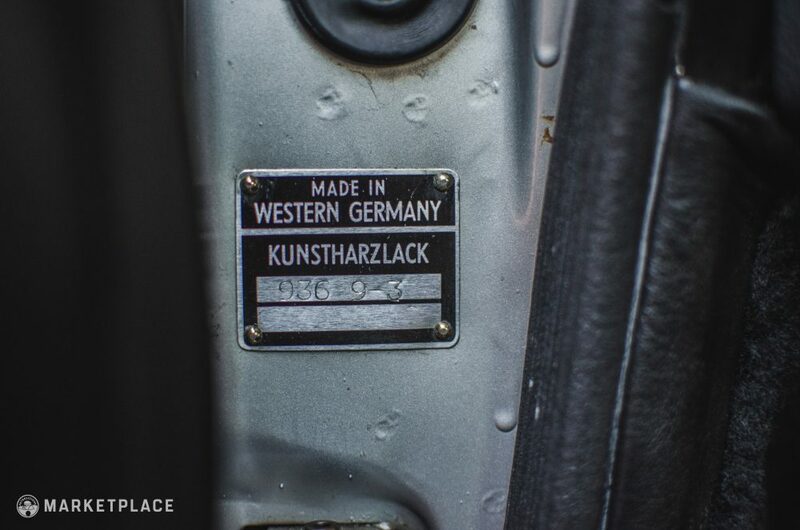 All switchgear, instruments, and accessories are original and functioning properly. 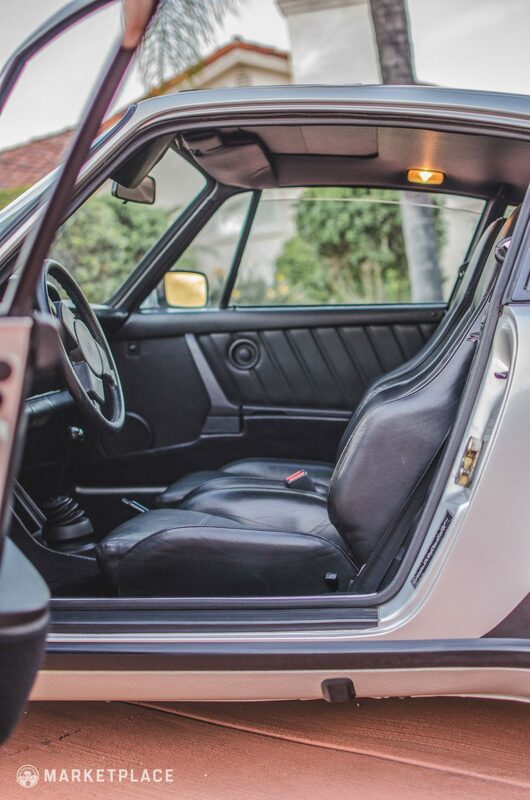 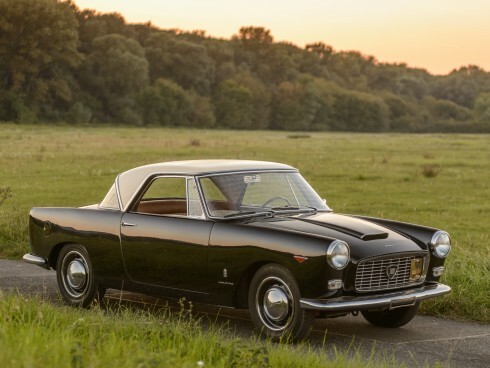 Body – The body is comprised of all its original panels, which remain straight, free of damage and corrosion, with correct and even gaps throughout. 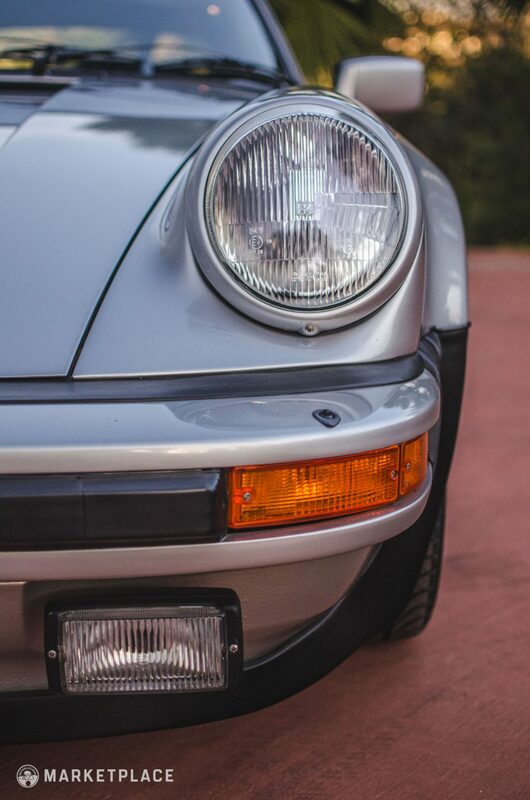 Paint – The brilliant metallic silver paint is original with excellent shine and finish with paint depth ranging from 3.5 to 6.5 mils. 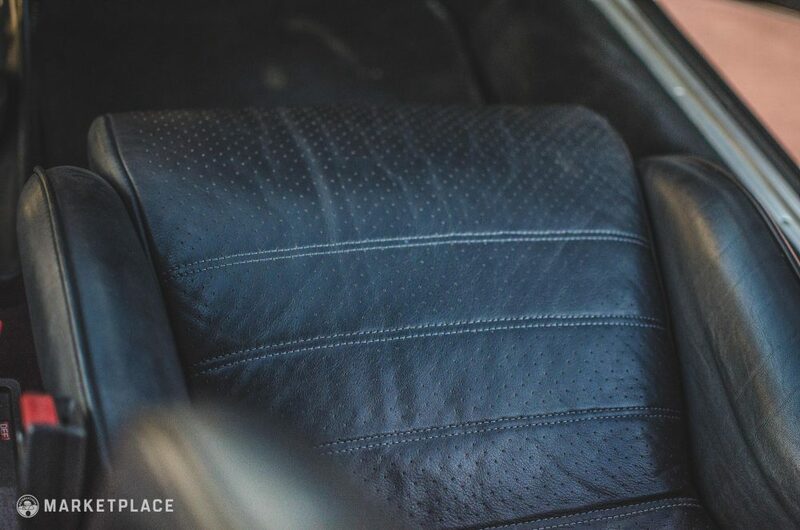 Glass – The greenhouse is comprised entirely from its factory installed glass, all of which are clean and free of etching, scratches, or cracks. 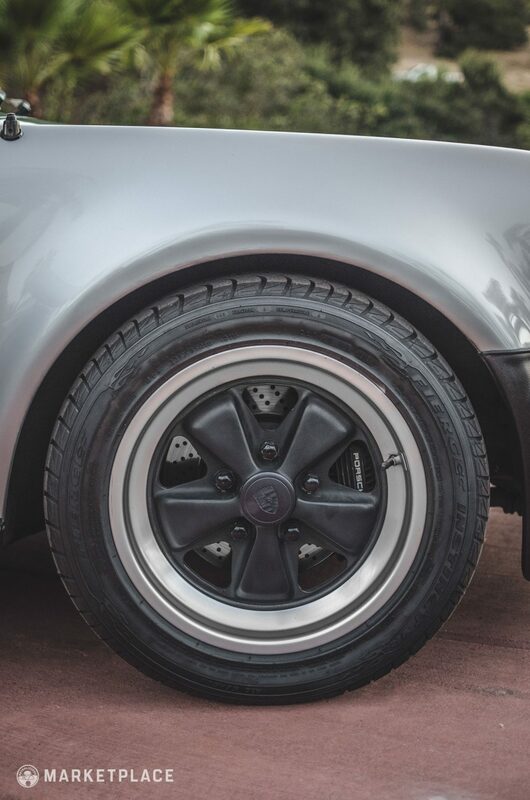 Wheels – The staggered Fuchs are the original rollers, complete with Porsche-crested center caps, and uncurbed barrels. 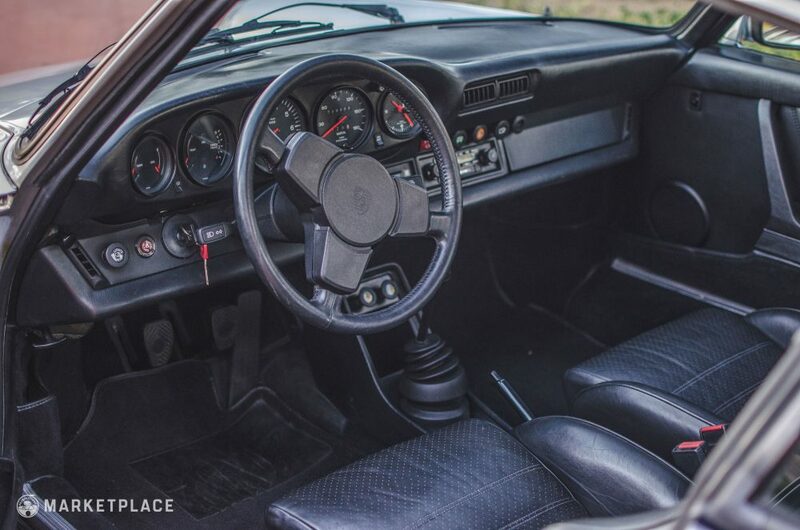 Steering Wheel – The three-spoke leather-wrapped steering wheel is in very good condition and the rubber center horn pad appears like new. 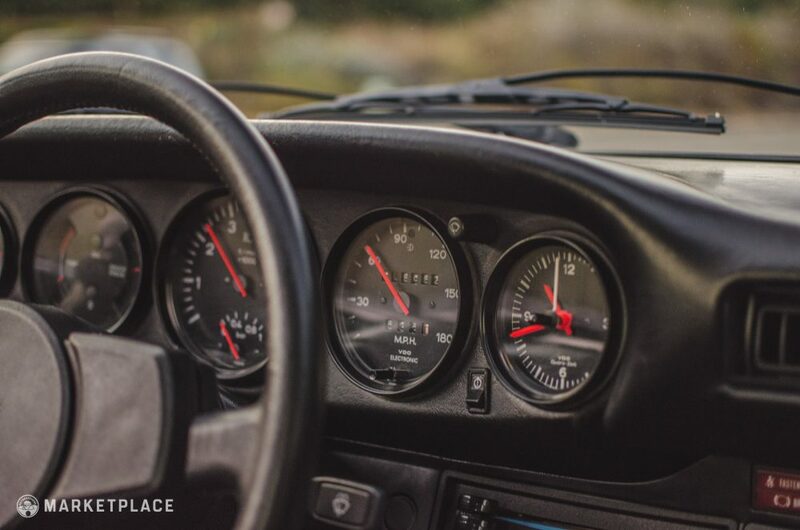 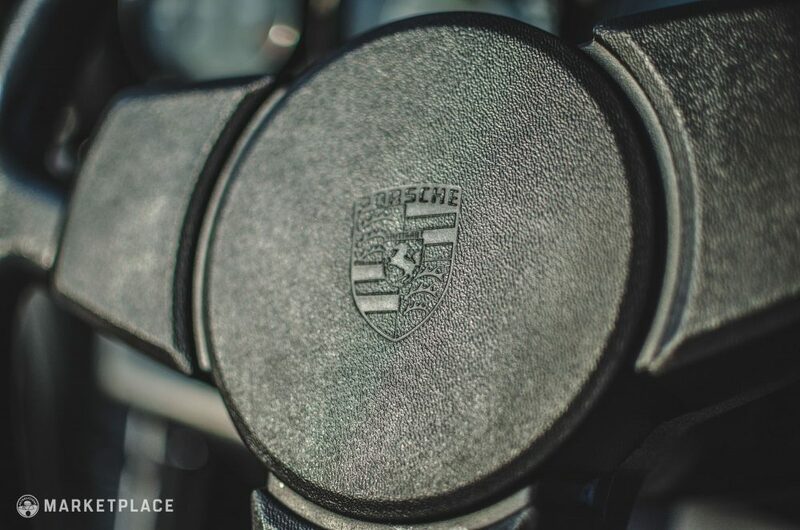 Dashboard & Instrumentation – The leather-wrapped dash pad shows no sign of shrinkage typically found on 911 of this era. 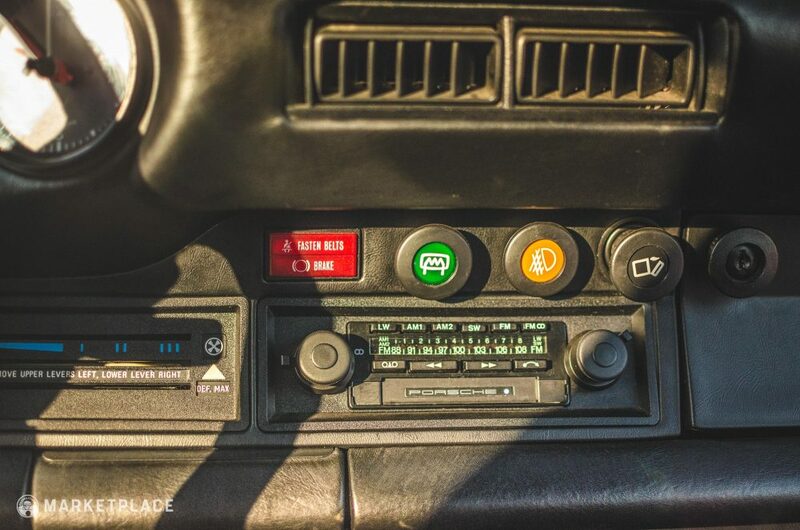 The VDO instruments are clean, clear, and fade-free and fully functional. 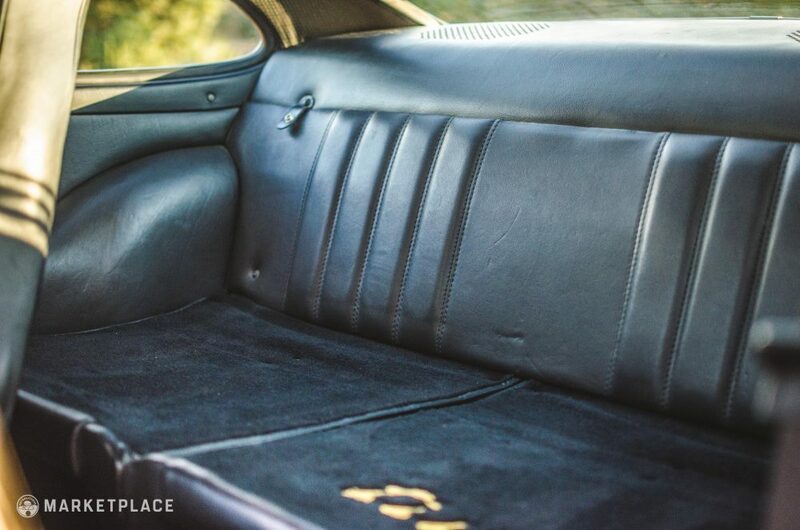 Seats – The black leather seat covers are exceptional with no scuffs, tears, or rips in the seams. 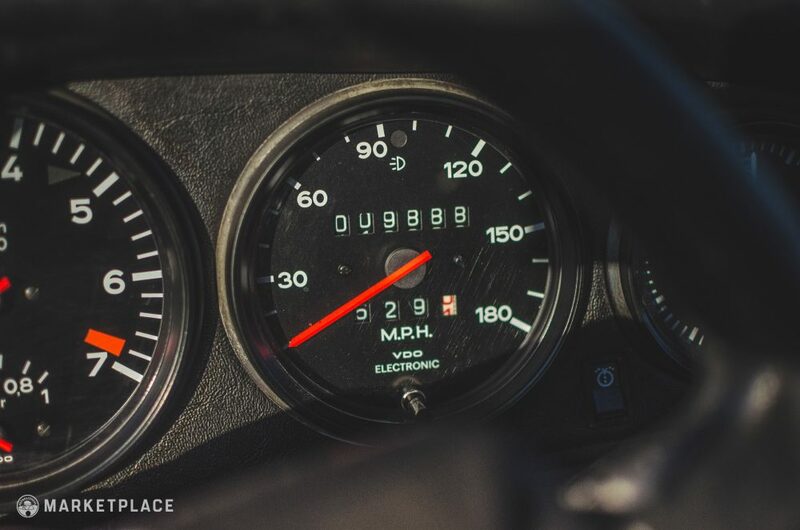 The bolstering remains firm and unbroken. 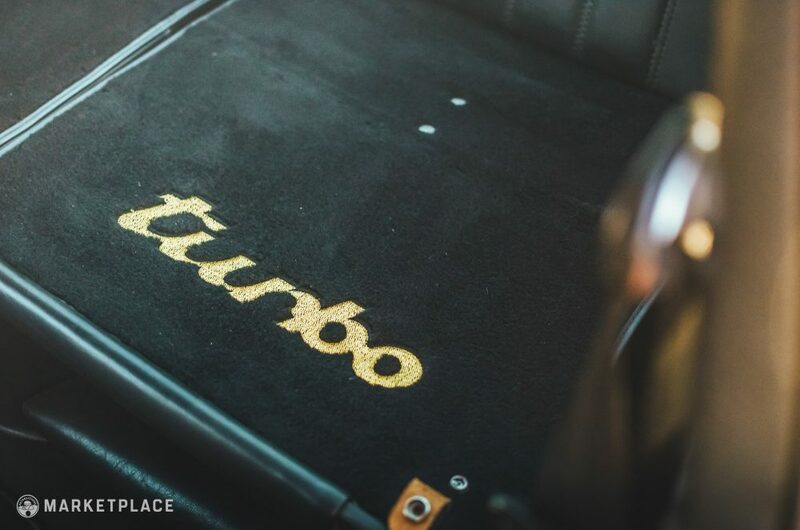 The carpeting, headliner, and door panels are equally impressive. 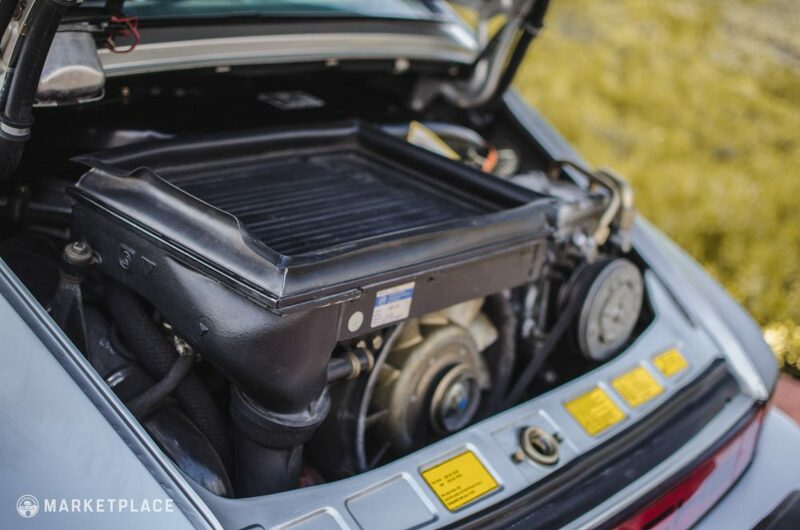 Engine – The original 3.3-liter turbocharged flat-six is the original engine to the car and is unmodified from stock configuration. 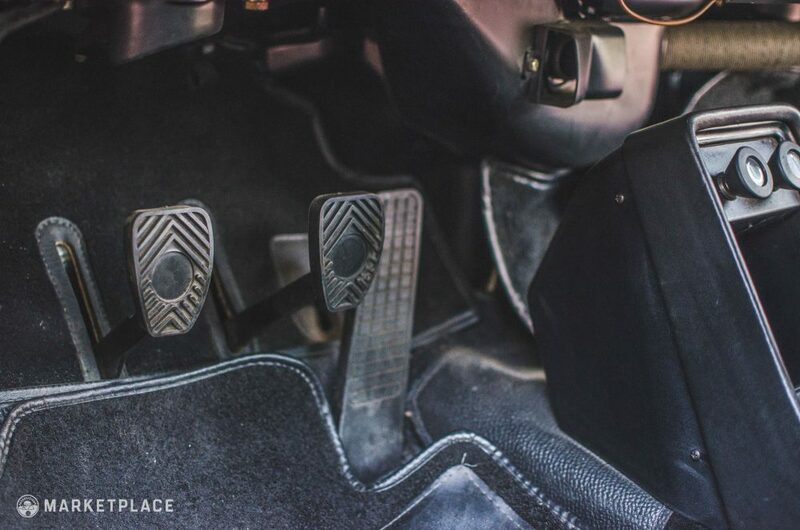 The Drive: The engine fires promptly and revs and accelerates without hesitation, pulling strong through all four-gears. 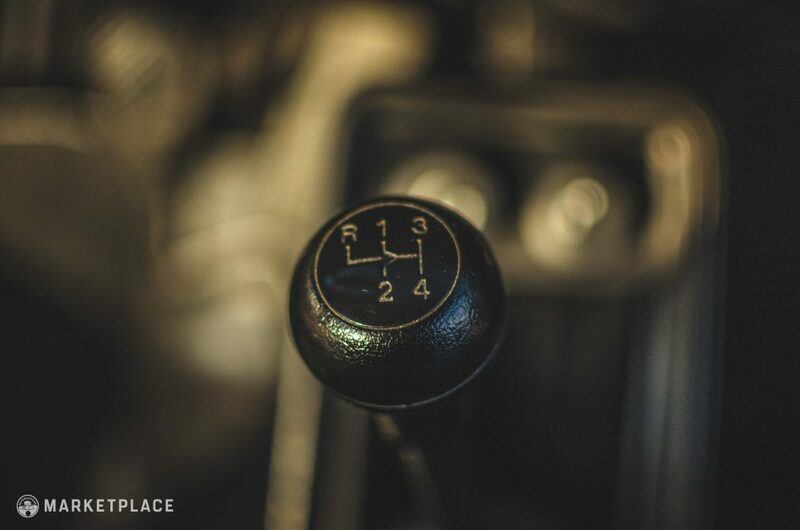 Transmission – The original four-speed manual transmission is in excellent working order. 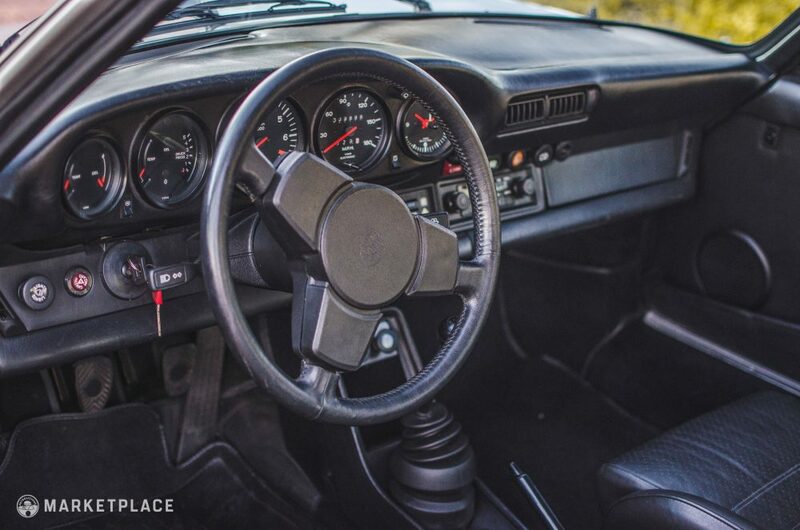 The Drive: Gear changes are direct and notchy while the clutch is easy to operate. 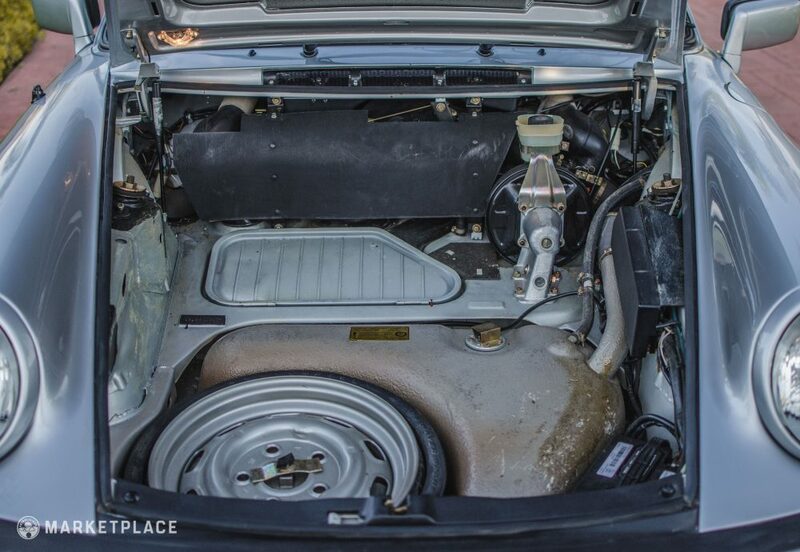 From the paint to the interior, drivetrain to the powertrain, headlight to taillight, this car is completely original and unmodified. 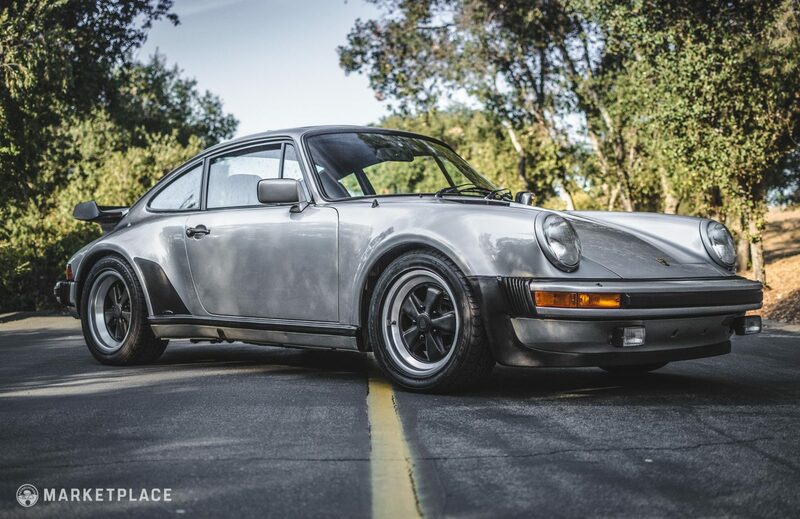 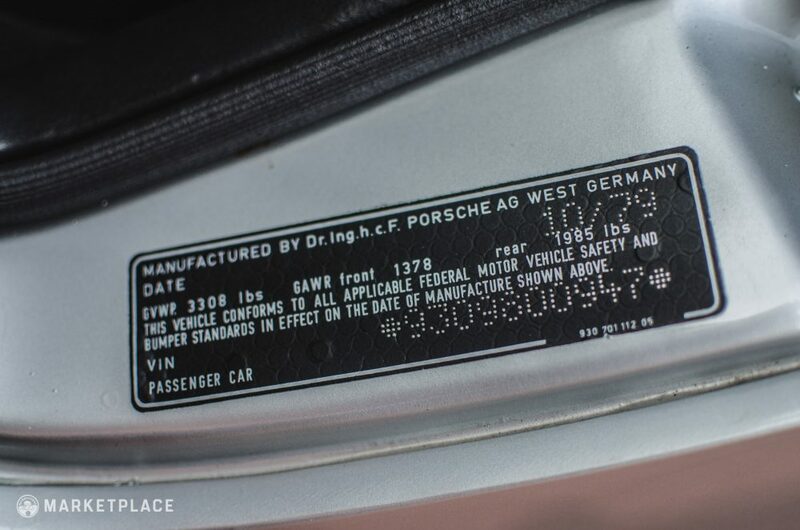 This two-owner 930 has been routinely serviced and fully documented since new. 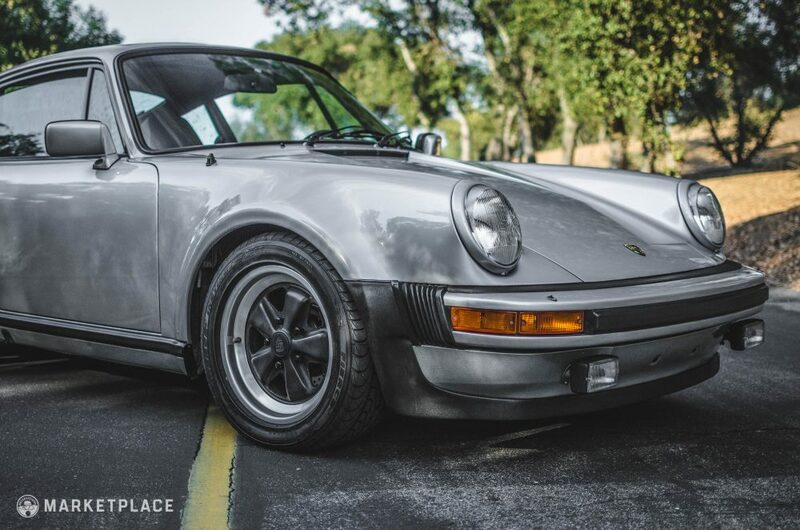 A recent full inspection and servicing was performed at CPR Classic to ensure this 930 is turnkey ready for the next caretaker. 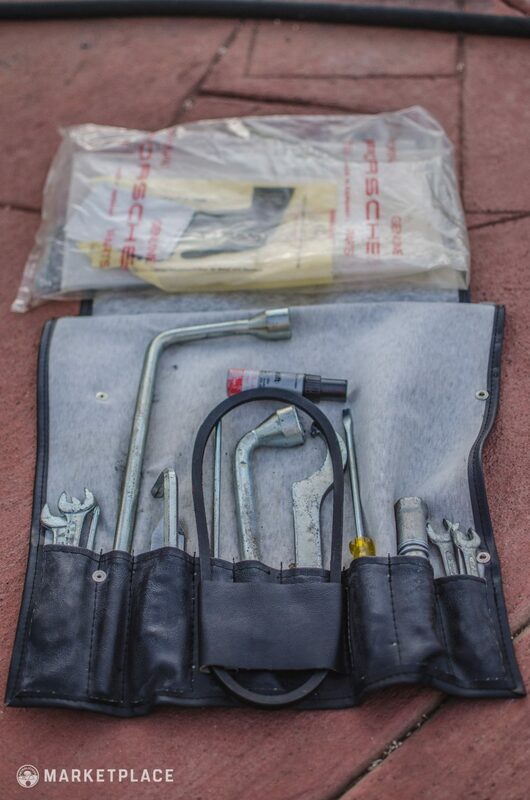 Included in the sale is the complete comprehensive service history, original window sticker, dealer key tags, spare tire, jack, and tool kit. 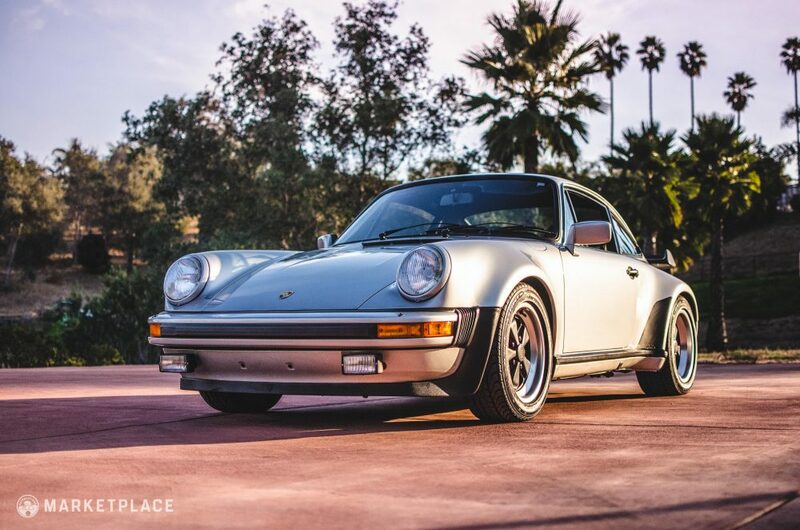 Time Machine – While anyone can renew a tired classic into like-new condition, nothing beats a true original, low mileage survivor. 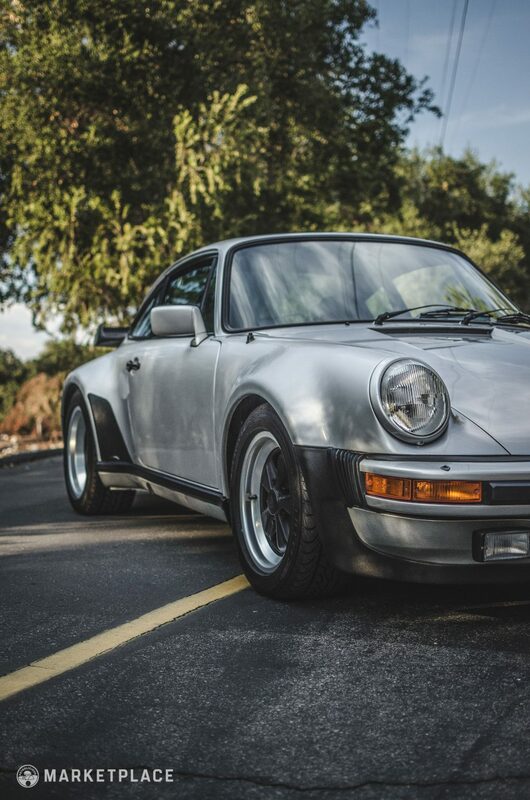 This car is one of the most incredible examples of a pristine 930 Turbo preservation with up-to-date servicing, and with just 9,800 miles, this 911 is a time capsule that offers a factory original driving experience. 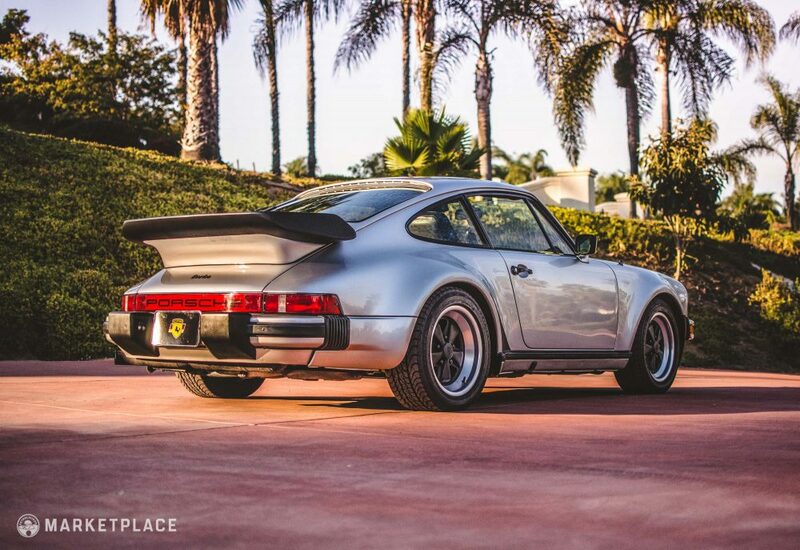 This car is for sale by Dylan Doherty of CPR Classics in Fallbrook, California.